I thought I had shared this as a Free GM Resource before, but it doesn't show on the Table of Contents page. I have, however, placed this on the +12 Links of Helpfulness. Since I had to re-do that page this last week, my omission kind of jumped out at me. 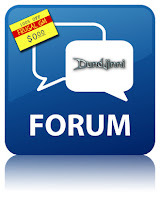 Getting on with it, I highly recommend checking out the Dundjinni Forums. There are a LOT of great maps and map items there to be poured through. The Dundjinni mapping software is slowly getting ready for an overhaul, which I think is needed, but in the meantime there is a lot of love and sweat put into sharing some great resources. If you look (there is a search function) hard enough you might even find maps created specifically for published adventures! Personally I recommend bookmarking the forums and waiting until you have an hour or two to pour through the forums.